Master Cleansing can transform your life. This program is designed to take you into such a deep and powerful cleansing that you can transform your life mentally, physically and spiritually. It offers the opportunity for a life changing experience. Relax into it, focus on your goals, imagine how you will feel at the completion, go forward with the pure intention of releasing all things your body no longer needs. Your mind and spirit will thank you! Cleansers describe significant increase in energy, vitality and greater stamina, reduction of food cravings, reduction of allergy symptoms, more efficient digestion, radiant complexion and fewer blemishes and much-improved BMs. This is our month-long, master cleanse for an all-natural deeply powerful detoxification program that has brought about life changing benefits to people all around the world. 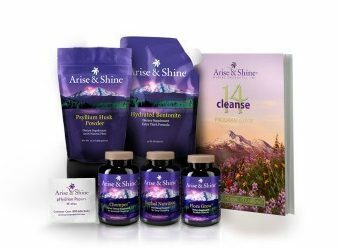 If you are ready to truly transform your life, then this the Cleanse for you. 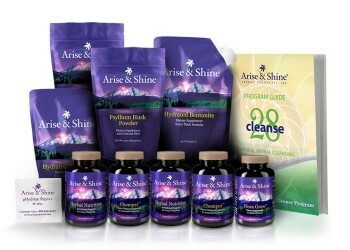 What you Get with the 28 Day Cleanse…. The synergistic duo for deep detox. Beneficial for effectively softening and breaking up accumulated toxic waste materials in the intestines and the removal of mucoid plaque; supports bowel regularity, improves nutrient absorption, assimilation during cleansing and provides nutritional support during cleansing. Powerful probiotic. Beneficial for restoring and replenishing intestinal bacteria that are natural to healthy humans, supporting healthy microbial balance for a healthy alkaline environment. Highly absorptive and binding with the ability to absorb 40 times its weight in toxic matter. Beneficial for attracting, binding and eliminating toxic substances. The most effective fiber for cleansing the intestines, Combine it with hydrated bentonite in a cleansing shake and ingest it. Beneficial for sweeping through the intestines and binding toxins, effectively, removing loosened mucoid plaque and debris and reducing cleansing reactions. (25 strips) for electrolyte testing. Instruction manual with detailed cleansing information, including recipes and schedule. Enhanced with the natural flavor of hibiscus flower, licorice root and fenugreek. Combine it with hydrated bentonite in a cleansing shake and ingest it. Beneficial for sweeping through the intestines and binding toxins, effectively removing plaque and debris. It is a great source of fiber and is both wheat and gluten free.